These days, successful startups are using growth hacking strategies to fast-track their success. Growth hacking is a process of rapidly experimenting with and implementing marketing and promotional strategies that are solely focused on efficient and rapid business growth. The term was coined by GrowthHackers CEO and Founder Sean Ellis way back in 2010. Growth hacking achieves results FAST, with minimal expenditure. The “hacking” part is about finding clever shortcuts that bring big results. In this guide, we’re going to walk you through growth hacking techniques, strategies, tools, and examples you can use to quickly rise to success. Because this is such an in-depth guide, we’ve included a table of contents to help you quickly get to the section that interests you most. Anyone who executes a growth hacking strategy is a growth hacker, but there’s more to the term than it might appear. Sean Ellis described a growth hacker as “a person whose true north is growth”. In other words, unlike traditional marketers who may have a broader view and be concerned about things like brand recognition or public relations, growth hackers are only interested in strategies and tactics that drive growth. If marketing tactics don’t have the potential to drive growth, then growth hackers aren’t interested. Many companies now have teams of growth marketers, growth engineers, product managers, and other roles. As we’ve said, growth hackers are obsessed with strategies that grow business. They typically set priorities for getting new customers and scaling the business. Then they develop, implement, and test ideas to help them achieve their goals. A key part of planning any marketing strategy is deciding how to measure success. Many growth hackers focus on “pirate metrics”, so called because of their initials: AARRR. Fun, right? As you can see, all of these are essential to have a healthy, successful business. Before you can start growth hacking your business, there are a couple of foundations you need to put in place. Who Are Your Customers? What Do They Want? For a start, it’s essential to look after product market fit. In other words, you need to have an awesome product and make sure that it meets your customer’s needs. 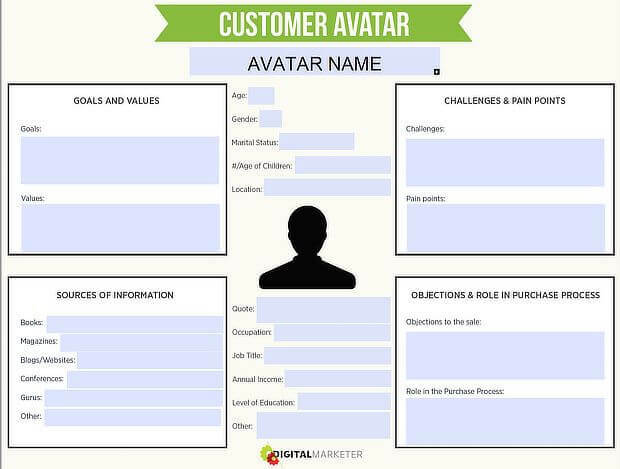 With this information, you can tailor growth marketing strategies to particular buyer personas. But you also need to understand how your customers BECOME customers. 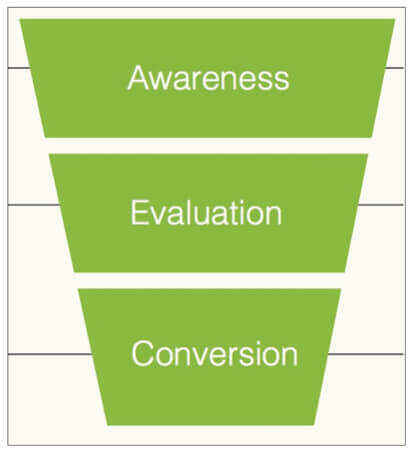 That’s called the customer journey, which generally moves from awareness to evaluation to conversion. And it’s when they’ve decided you offer the best product or service and convert into customers that they become part of the growth hacking funnel. 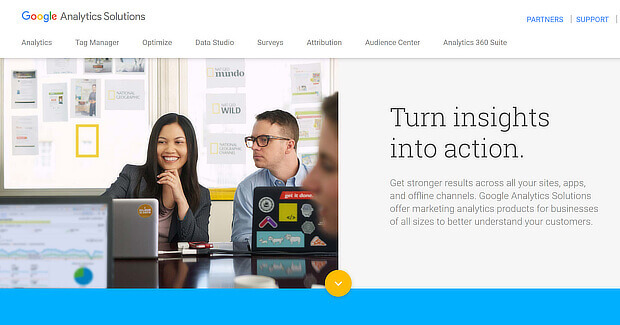 Is Your Site Assisting Conversions? You’ll also need to identify any bottlenecks stopping visitors from converting. Learn more about conversion optimization here. In other words, don’t set wishy-washy or impossible goals. Know what you want to achieve and how it contributes to growth. Work out how you’re going to measure it, and set a time limit for achieving it. Now that’s clear, let’s look at some strategies and tactics to help you build your business. Generally, “strategies” take a long-term approach to business growth, and don’t change very often. “Tactics” are shorter term implementations of your strategy and can be switched to take account of new information or priorities. However, you will see the terms used interchangeably. Paying for promotion, or advertising. Now, let’s look at some strategies and tactics that are proven to work. Email marketing has an amazing ROI. According to email marketing research and statistics, a $1 investment will bring $44 in revenue. That’s why it’s so important for growth to build your email list. One reason why email marketing is a great hack is that you don’t have to spend a dime to get started. As you’ll see in the section on growth hacking tools, there’s software you can use for free until you get large enough to upgrade. But it can take a while to grow your email list. A lead magnet is an incentive that you’ll offer your visitors in exchange for sharing their contact information with you. Lead magnets are often downloadable content, such as checklists, worksheets, reports, and ebooks. Exit Intent detects when visitors are about to leave your site, and shows them your lead magnet campaign just before they do. This type of campaign is proven to get visitors’ attention and convert well. Create your own lead magnet, using our list of lead magnet ideas as a starting point. Check out our examples of exit-intent popups you can use as inspiration to create your own. Follow our guide to growing your list with OptinMonster, and don’t forget to enable exit intent. In no time at all, you’ll be racking up those subscriber numbers, and will have a successful growth hacking strategy under your belt. As a growth hacker, you can’t ignore the potential of the millions of social media users around the globe. Using your own social networks to let people know about your products and services can help you get new leads and sales via word of mouth and social shares. But while some people may respond to a simple request, most will be more interested if there’s some payoff for them. Offering a reward for social sharing can give your brand viral potential. Groupon knows how to nail this strategy. In fact, it’s almost a “carrot and stick” approach. The carrot is a good deal and the stick? Well, those who don’t share may miss out on the deal. One way to implement this growth hacking strategy if you’re using Shopify is to use Social Marketing All in One or a similar app. This lets you request a share when customers add products to their cart, and you can reward them with an immediate discount. See our guides to generating leads on Twitter and increasing traffic from Facebook for more social media growth hack strategies. Gamifying onboarding is a great growth hacking tactic that many companies use. There are a couple of ways this can help you grow. First, you can reward users for successfully using the product, keeping them interested and making it more likely they’ll stick around. Second, you can reward them for getting other users to sign up, which helps your business grow faster. 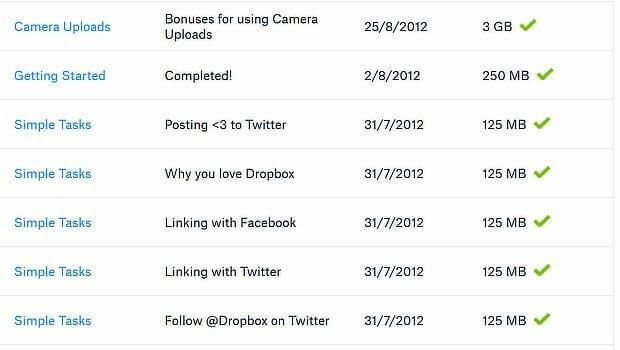 That’s the strategy Dropbox used, letting users unlock additional storage after completing certain milestones, such as uploading content and sharing on social media to attract new users. To use this growth hacking strategy for your business, you’ll need to create an onboarding workflow that helps users get to know your product, and encourages them to spread the word. A good tool for gamifying your onboarding is Masskom, which we’ll talk about more in the section on growth hacking tools. 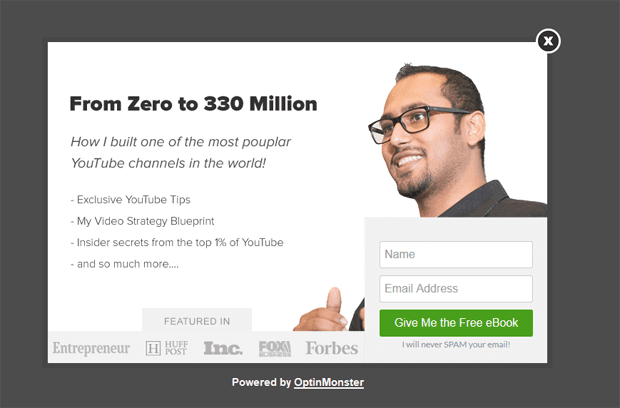 Here’s a growth hacking strategy that is guaranteed to make people check out your website: build an insanely useful tool, and let people use it for free. Here’s an example of this in action. CoSchedule who provide online editorial calendars, created a Headline Analyzer, used by practically every marketer we know. The only catch? You have to sign up for their email list to use it. That’s a smart strategy because the tool meets the needs of their core audience, building brand recognition, and goodwill. It also adds the right people to the company’s email list, which means CoSchedule can then promote their paid service. 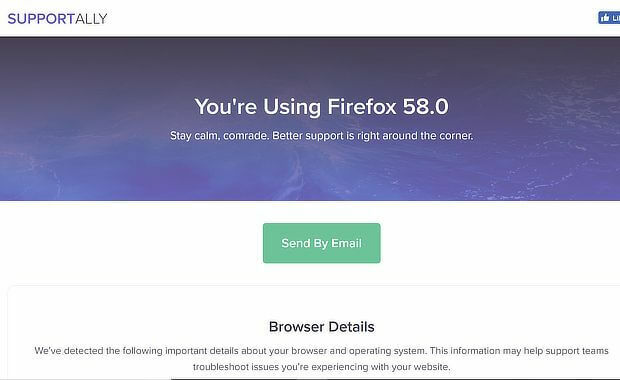 Our company’s done the same with SupportAlly which collects the information support teams often need on a single landing page. At the bottom of the page, there’s a link to other company products and services. Not sure what to create? Ask for customer feedback to see what tools would be most helpful for your target audience. You can’t beat contests as a tool for raising awareness about your company’s products and services. It turns out that they’re seriously effective! A contest gives you a double win. If you give an account as a prize, you get a new user, plus you get the word out to people who could become customers. You know for sure they’re interested if they’re trying to win a free account. Offer an account as a prize for a Twitter contest in a simple sweepstake. Ensure your contest complies with Twitter’s promotion rules. Use Instagram for a themed content contest, linked to a hashtag, where users tag your Instagram profile. Want to get even more from this strategy? Let your social media audience and web visitors get multiple contest entries by completing different promotional tasks. Rafflecopter can help you with this. Want to learn some more successful growth hacks to build your business? 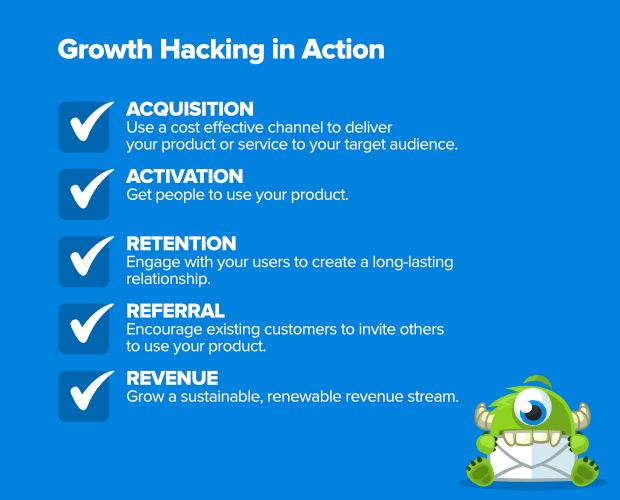 Check out our growth hacking strategies guide. Once you’re ready to get started with your growth hacking strategies, you’re going to need some tools to help execute them. Luckily, there are many tools that can help you engineer rapid success. Here are a few that we recommend. For convenience, we’ve identified where these fit into the stages of the pirate metrics funnel. Let’s start with a couple of growth hacking tools for customer acquisition. As we mentioned earlier, email marketing is an essential strategy, with unbeatable ROI. That’s why you need to include an email marketing service in your hacking toolkit. Our top recommendation is Constant Contact because it’s super beginner-friendly, offers quick and easy setup, and boasts world-class customer support. Facebook Messenger campaigns are known to have great conversion rates, but who has time to be online 24 hours a day? If you want to keep new prospects engaged without losing sleep, a Facebook Messenger bot could be the answer, and ManyChat is a great way to deliver it. ManyChat works with Facebook Messenger so you can communicate with customers even when you’re not there. It’s a great time saver for the busy growth hacker, and creating your first bot is free. Plus, you don’t need to learn to code, as you can easily build your bot with ManyChat’s drag and drop interface. Next, let’s look at a couple of tools for customer activation. One of the best ways to get started with customer activation is knowing what’s working for the customers you already have. That’s why you need an analytics tool, and you can’t beat the price tag of Google Analytics; it’s absolutely free. Want an even easier way to get hold of this information? If you’re a WordPress user, try MonsterInsights to see your analytics data right in the dashboard. YouTube is on our list of growth hacking tools because one of the best ways to get customers to become active users of your product is to show them how to use it. As our video marketing statistics roundup shows, YouTube itself is a proven trust builder. And video content as a whole helps increase leads and sales. Around 80% of customers prefer watching a video to reading your help files. Consider having a YouTube channel for your onboarding and tutorial videos. You can also use those videos for customer acquisition and retention by posting them on your blog and sharing them on social media, which makes YouTube a multi-purpose growth tool. Speaking of retention, it’s key for successful companies to reduce customer churn. The next set of growth hacking tools cover retention and will keep your customers engaged and wanting to stick around. 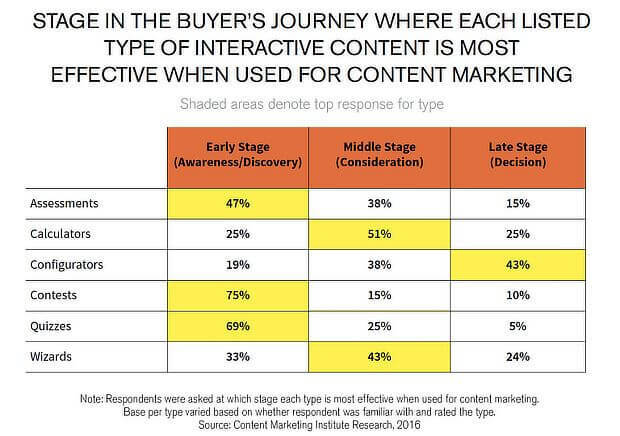 You can’t beat the power of content marketing. It’s one of the best growth hacks for attracting and retaining your customers. And it starts with having a magnetic headline that makes people want to keep reading or watching. That’s why CoSchedule’s headline analyzer is one of our recommended growth hacking tools. Not only is it free, but it’s truly useful, and a must-have tool for every marketer we know. Here’s how it works. Type in your headline and the analyzer will measure its appeal, and give it a score of between 0 (back to the drawing board) and 100 (you’ve nailed it). 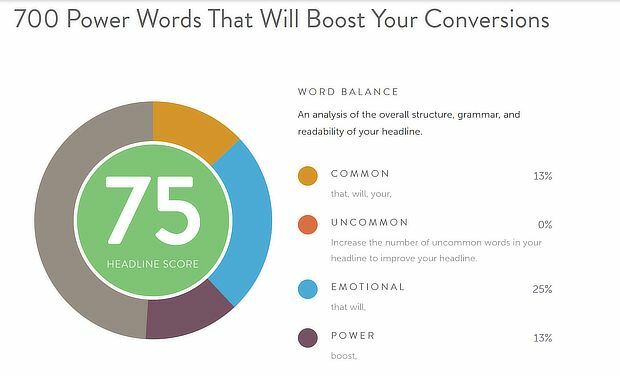 The headline analyzer assesses the use of power words, uncommon words, and emotional words. And it checks the headline for readability and length, too. When your content has better headlines, more prospects and customers will read and share. And that helps with both retention and lead generation. It’s not enough to craft marketing messages. For successful growth hacking, you need data on what works – and what doesn’t. That’s where OptinMonster’s built-in A/B testing can help. It lets you duplicate campaigns with a single click, so you can change an element and start running your test. 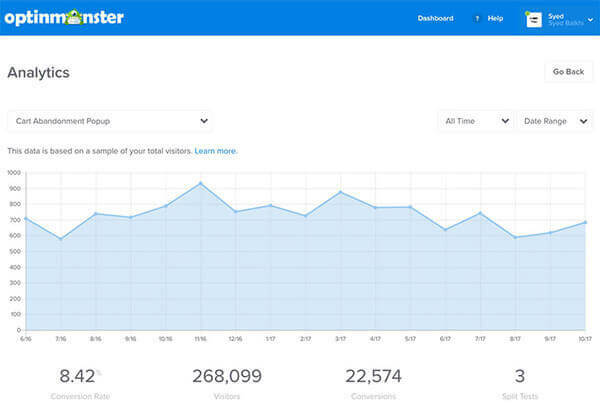 And OptinMonster automatically tracks conversion analytics so you can compare results and pick a winner to help get more leads and sales. Eczema Company boosted conversions by 158% with this feature. Next, let’s look at a couple of growth hacking tools for boosting revenue so your business is on a sound financial footing. Have you ever considered running webinars to help move your users from free trials to paid subscriptions, or to encourage paying customers to upgrade to the next level? You should. The research shows that between 2-5% of webinar attendees make purchases, so running webinars is a great growth hack. There’s a bunch of webinar marketing software around, but we’re going to recommend Zoom. It works well for both webinars and meetings and is free to use with up to 100 participants and for calls of up to 40 minutes. And since it has built-in recording facilities, you can record your webinar to use later for lead generation. SEMrush has so much functionality that it could be included multiple times on our list of growth hacking tools. It’s an incredibly comprehensive suite of tools focused on SEO and search engine marketing. We’re going to highlight two key tools here, but if you use it, be sure to explore the other tools SEMrush offers. They’re sure to help you boost visibility and improve lead generation. A good starting point for using SEMrush is its Site Audit tool. This gives you an overview of website health and identifies issues that make your site less effective. SEMrush also provides tips for addressing the issues, so you can make your site work better for both your customers and you. Second, use SEMrush for some competitive research via its Organic Research tool. That lets you check out the keywords that send traffic to your competitors. With that information, you’ll be better informed about what your target market cares about, and can optimize your own content to win back some of that traffic. Our guide to SEO audits provides more help on using SEMrush. Finally, in this section, let’s look at a couple of tools to help with getting customer referrals. 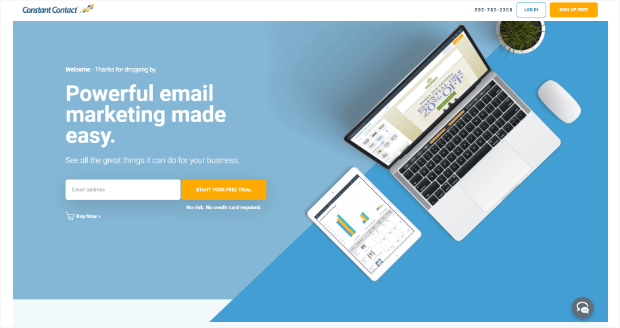 We talked earlier about the importance of email for winning business, and one of our tools can help you connect more easily with the influencers you want to reach. Hunter lets you search for emails by typing in the domain name. While that sounds simple, it means that you can email the people you want to reach directly, instead of having to go through a contact form or use a generic email address. Buzzsumo is best known as a tool for tracking social shares, but it also helps you focus on any influencers among those sharers. This is important because social media is an excellent referral tool. In 2017, Facebook alone drove 20% of referral traffic. But if you’re going to use those referrals for growth hacking your business, you have to find them. Buzzsumo makes this process easy. To find influencers, go to any piece of content in a Buzzsumo results page and click View Sharers next to the title. This’ll give you information on their Twitter engagement, domain authority and more. With this information, you can start an influencer marketing campaign. Find more growth hacking tools on our list. Need more examples to inspire your own marketing? In this section, we’re going to share some hacks which have worked for what are now some of the world’s most successful businesses. 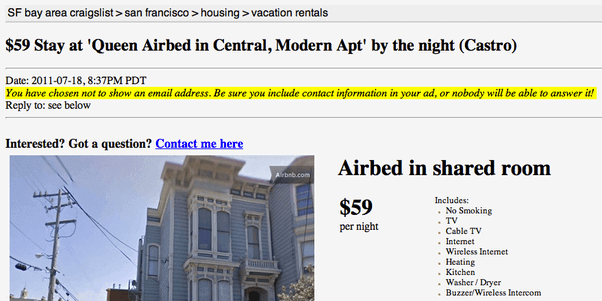 You can’t talk about growth hacking examples without mentioning the AirBnB Craigslist hack. These days, AirBnB is a household name, but when it got started, the company needed to get more customers and accommodation providers and to build its reputation. What happened next is a growth hacking legend. In those days, people looking for affordable accommodation often used Craigslist. AirBnB’s genius was to give their accommodation providers a way to copy their listing to Craiglist with a single click, verify their listing, and post an accommodation ad. 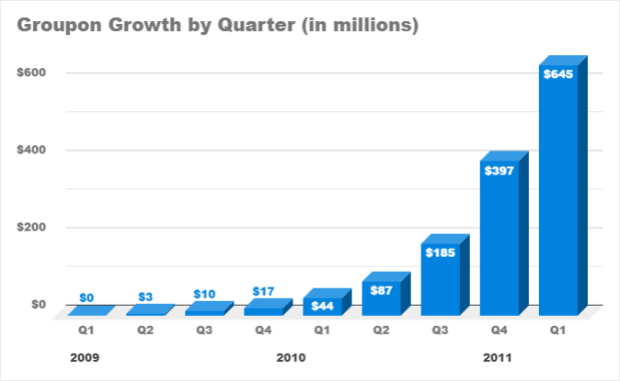 That put AirBnB right in front of the right target market and resulted in amazing growth. With a user base of more than 2 billion, Facebook seems to be everywhere. But it wasn’t always, and Facebook itself used growth hacks to build its user base. The answers to a Quora question on Facebook growth shows the most effective hacks they used. First, they encouraged new users to import their email contacts. Second, if users mentioned or tagged contacts on Facebook, those contacts got notification emails. The curiosity factor was enough to bring some of those people to Facebook and to make them sign up for their own accounts. Can you drive growth by being honest with your customers? It certainly helped Groove build a business worth $5 million a year. The company had tried many approaches to content marketing, which they knew would be a core marketing strategy for them. But they didn’t start to see results until they adopted a tell-all approach. What Groove realized is that no other blog was sharing the real challenges of growing a SaaS company, and they weren’t sharing real numbers, either. So Groove used their own tactics as a case study, sharing honest experiences with their readers. The result was a huge increase in its user base. But they didn’t stop there. As part of the process, they got feedback from customers on their information needs and used that to create new content. And they also did some influencer marketing by selectively sharing certain content. Transparency also paid off by earning Groove reviews, interviews, and other promotional opportunities, fueling growth even more. Sometimes the simplest growth hacks are the most effective. One of the most famous growth hacking examples comes from Hotmail, the webmail client that preceded Outlook.com. Every outgoing email from Hotmail included a signature link which invited recipients to get their own free account. That simple growth hack propelled Hotmail to 12 million users within 18 months. At the time, that represented a more than respectable 20% of the total email market. Ever wanted to get away with cutting in line? There’s something delicious about knowing we’re beating the people behind us. That’s the social psychology growth hack that mobile bank Monzo used to grow its user base from 0 to 250,000 users in just two years. Here’s how it worked. When people signed up, they could see how many people were ahead of them in the waiting list for accounts, and how many were behind them. 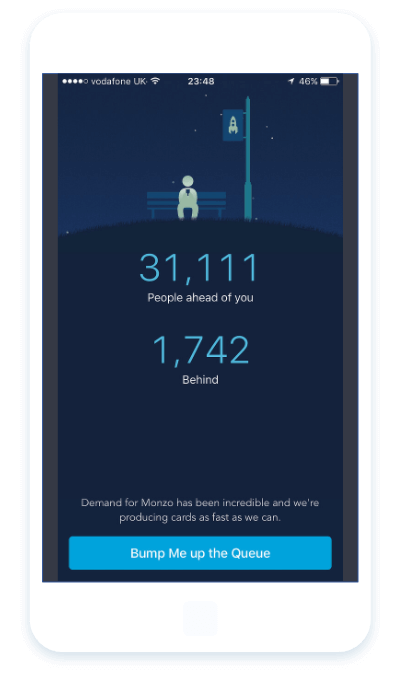 Monzo offered people the chance to jump the queue by referring more new users. This rewarded new signups and got more customers for the bank at the same time. Can this work for your business? It certainly worked for Robinhood which had 1 million people on the waiting list for its stock trading app within the first year. Another well-known growth hacking example is the “powered by” link, which is proven to work. 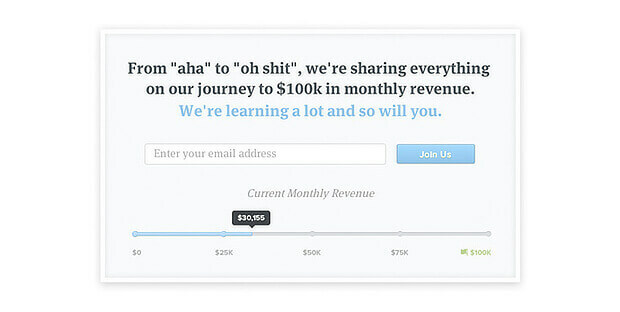 For example, Statuspage says this hack helped them boost monthly revenue 5x, from $5k to $25k. A lot of other companies use this hack, and OptinMonster does too. By default, marketing campaigns created with OptinMonster include a “powered by” link, but it’s easy to disable if users prefer not to include it. Check out our exit intent popup gallery for more popup examples that use the “powered by” link. Is it possible to use the content you’ve already got to engineer massive growth? It is, and it’s exactly the strategy job board Proven used to boost organic traffic by 43%. Best of all, they didn’t spend a single extra dime on marketing. Instead, Proven got their employees involved, with an internal competition known as “Mission Week”. After identifying a piece of content that was performing poorly, everyone in the company had to meet their goal of earning 20 mission points by doing something to improve its performance. Employees earned points for sharing content on social media, optimizing content, promoting content with outreach emails, and more. Unsurprisingly, all this activity resulted in better search ranking for content, and a related boost in organic traffic! Still looking for more inspiration? Check out our list of growth hacking examples. That’s it! Now you have all the growth hacking techniques, strategies, tools, and examples you need to quickly rise to success. 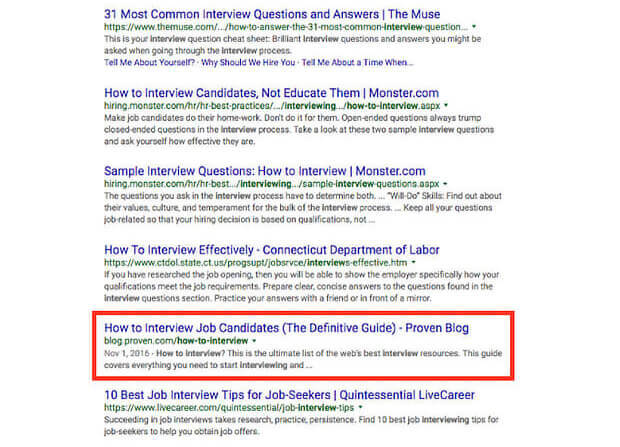 Next, check out our guides to SEO link building, and creating high-converting sales pages. And be sure to follow us on Facebook and Twitter for more tips and guides. This guide is for the marketers who want to Break Through that wall. Thanks for sharing!